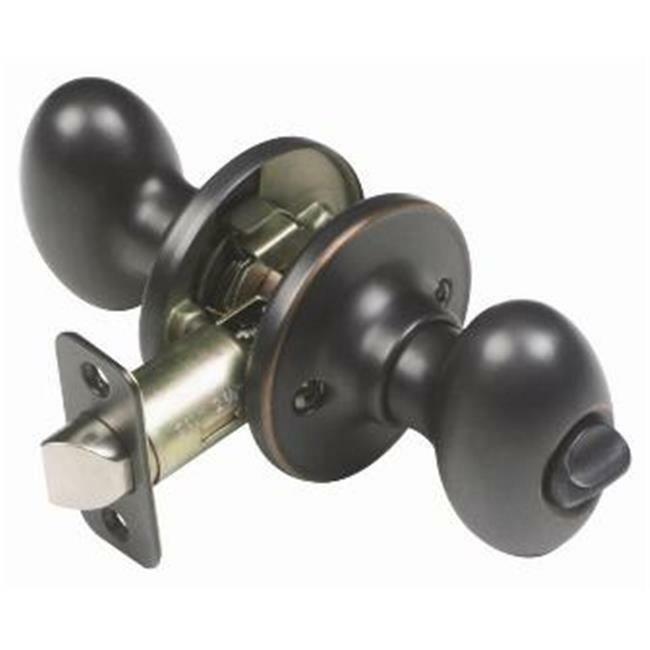 The Design House Egg 2-Way Latch Privacy Door Knob is finished in oil rubbed bronze and designed for left or right hand doors. This knob fits the two most common backsets in the U.S. The egg shaped handle fits comfortably in your hand and the oil rubbed bronze finish matches your home's decor. With privacy in mind, this product locks from the inside with a turn-button and does not include keyed cylinders. Privacy knobs are often used on bedrooms and bathrooms and are opened with generic tools.This product is ANSI Grade-3 certified, which means this knob is rated for residential security.